Wayne Jiang is a nice guy so here's his shout out! You are receiving this newsletter because you are on the Art of Wayne Jiang’s mailing list. If you want to unsubscribe, go to the unsubscribe link at the bottom of this email. September is going to be a busy month. My work over the last few years is starting to bear fruit this month. Please come join us in one of the following events. 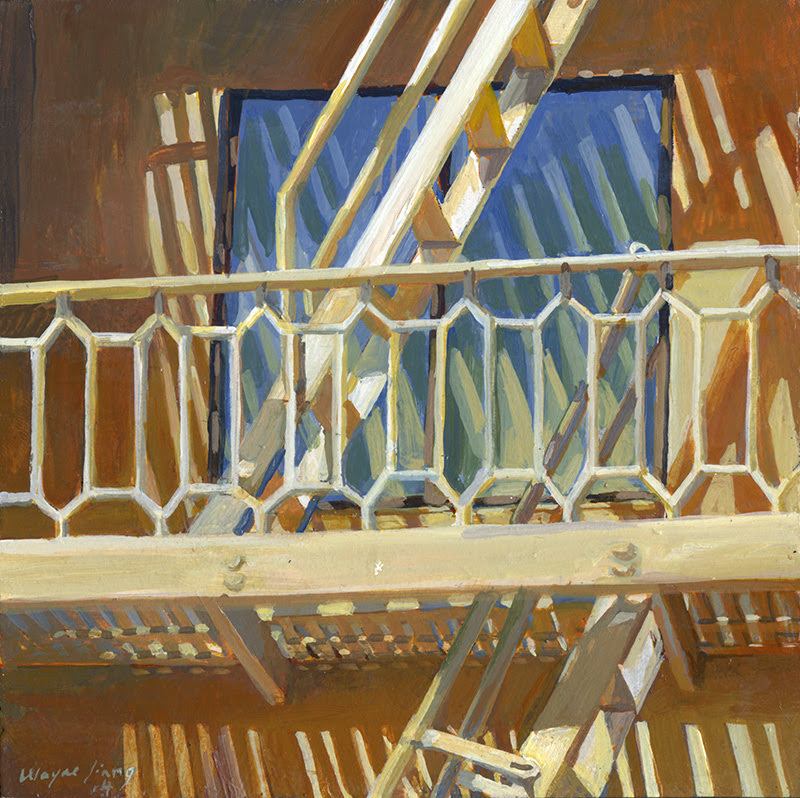 A group show in the newly reopened Studio Gallery in San Francisco features San Francisco urban views and surrounding communities. 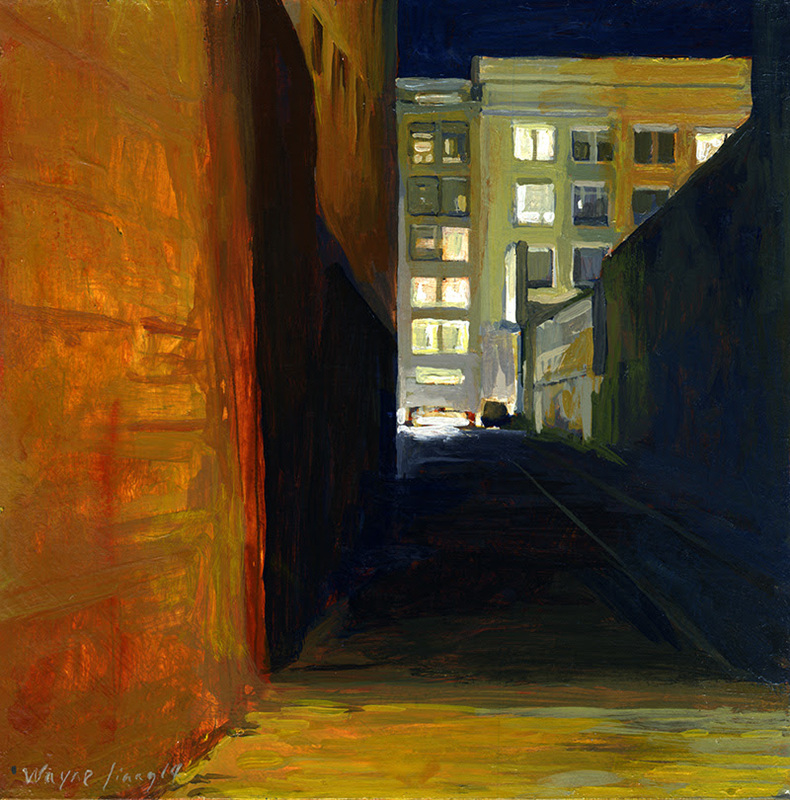 From gritty loading docks to soaring views of the Golden Gate Bridge, the artists depict scenes of the skyscrapers where we work, the neighborhoods where we live, and the parks where we play. I have a half dozen new paintings in this exhibit. 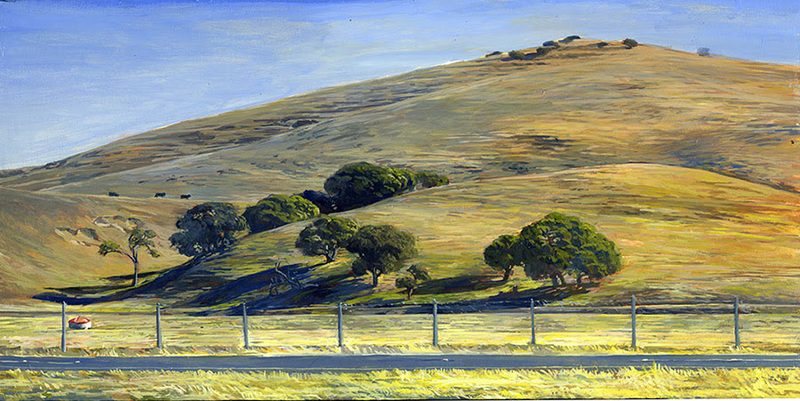 Come see 25 of my latest paintings with the theme of the open road. 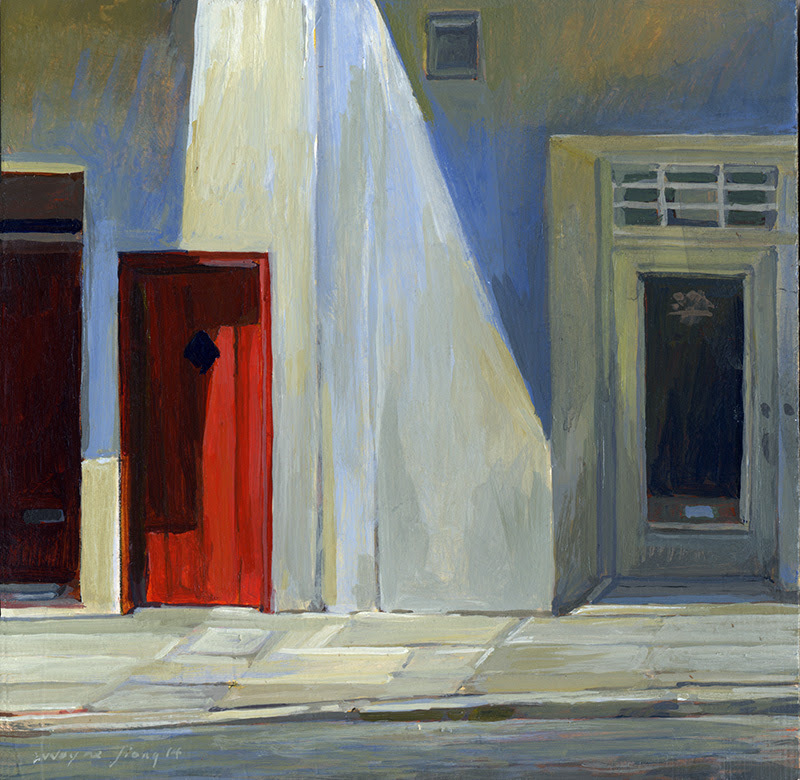 These paintings explore transition and contemplation with day and night California landscape scenes in rural, urban, and suburban settings. This is a two person exhibit at the Archival Gallery. The other artist in the exhibit is Patricia Altschul. The Man Who Walked in Salt is now available on Amazon! 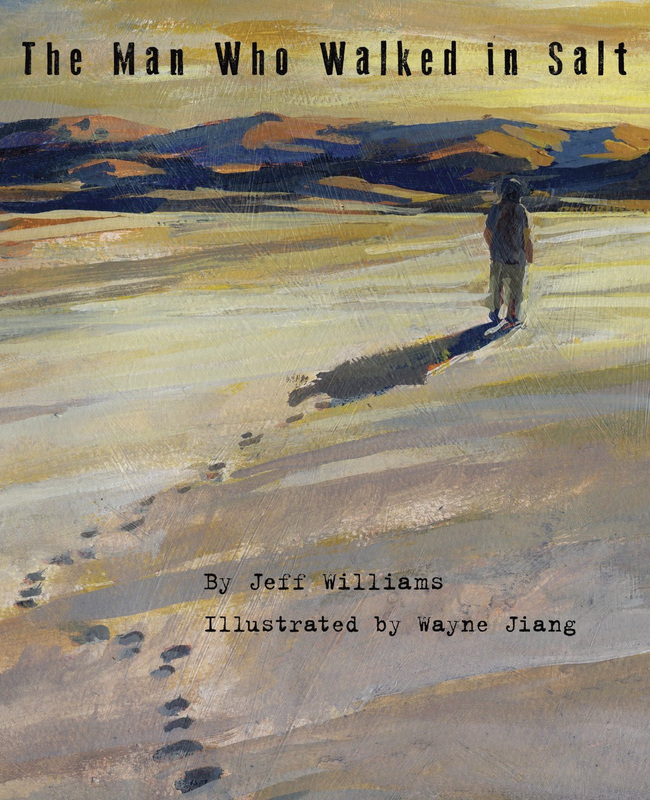 An illustrated story by Jeff Williams, illustrated by yours truly is now available in Kindle format through Amazon.com. This is the story of how a person can get lost and the amazing things that can happen when you don't lose hope. I'd like to thank Jeff Williams, the author of the book and John Rios, my old school pal from SJSU for getting me involved in this project. The artwork style in this book is a bit different from my usual painting style. I mostly paint from real life and usually work alone. In this project, I reached back to my illustration roots and painted more with my imagination than real life. The result of the illustrations in the book are months of joyfully collaborating with Jeff and John. The landscapes and figures in this book are Jeff's brain child. Jeff and I spent many hours on the phone discussing how these different imaginary landscapes fit the story and the state of mind of the character. The result was a series of painterly landscapes that changes in color, composition, and brushstrokes. As the story develops, the changes in the landscape reflects the main character's state of mind. This has been one of the most enjoyable projects I have been part of. I think you will be able to see that on the pages of this book. The printed and iBook versions will be available soon. The European Premiere of Hearts of the Dulcimer in Scotland! Hearts of the Dulcimer is the documentary film created by my wife (Patricia Delich) and me. The film will be having its European premiere in Scotland as part of Love of Folk Music Festival. Please forward this event information to all your UK friends. The workshop begins with a Friday late afternoon visit to the De Young Museum in San Francisco. As we walk through the museum, I will show you my favorite paintings and tell you what I’ve learned from them. The painting workshop on Saturday and Sunday is designed to help you begin incorporating what we learned at the museum. Using the inspiration from our museum visit, the workshop will focus on developing your artistic eye and improving your painting skills. To ensure maximum one-on-one tutoring, this workshop is limited to 7 students. Maximum class enrollment is 7. To register, go to: http://waynejiang.com/workshop/museum_workshop_reg.html. Have an art filled September.